Friendship day i find a great significance in my life and in other's... Who can be your best friend, beyond all the mortal ones. Who can be a true friend who will not leave you come what may. We see in our lives all kinds of friends who have walked in and out of life. Many are those who have helped, supported, cherished, loved, walked with us and still do. Gratitude to all my such dear friends who have always been there. But at the same time, i can't resist putting forth how still our mortal friends can walk with us not forever and not in the same unwavering spirit, as all mortal beings have limitations. At such a state, my overwhelming gratitude goes to my best friend and guide - Baba, who even being of the stature of Lord Krishna picked this petty Sudama. i certainly am the penniless, having literally nothing, but He acknowledged nothing but my love and picked me up in His arms and gave me shelter and food and love and most of all accepted me the very way i am inclusive of all my short-comings, limitations, sins, pettiness, shabbiness, stupidity, and loved me without judgement. When i raised an eye on someone, He taught to practice unconditional acceptance and love, which began seeping into me because He himself was accepting me with all qualities. He saw through the dark qualities in me, the qualities that may not be good when it comes to matching with the qualities of Light, but then where does Light look down upon darkness? It just shines. The more the darkness, the more the shine. He says that you cannot cure darkness with darkness and that is how His love that permeated light embraced my darkness and that is where darker areas began lighting up. He had to hug me wholly (not physically) including those abstracts and that is when my being including the darker parts of me also felt that love. i only loved the good parts in me and hated the dark parts in me but He amazingly loved both the good and bad parts in me. If not that embrace of unconditional acceptance, what would happen to Sudamas? He embraces all His children with similar unconditional acceptance and that is where magic happens if that hug is felt. Why do people long for Baba? Because they have felt that Krishna's hug. Every Sudama has been wandering for love and acceptance and how can they resist that hug that makes them feel complete. He is Krishna to the world in many ways, but the real friendship is the Consciousness of that Krishna that hugs everything around because everything is a part of that consciousness. For Him only the friendship matters, not the position, the caste, the religion, the creed, the color, the status, the quality, the talent, the ability, the disability, the power, the intelligence, the position, the looks, and all other endless lists. This is what i have learnt since childhood as the quality of God. This was the quality of Lord Krishna when He physically walked on earth. This is the quality of all Gurus towards their disciples. This is the quality of my Guru towards His children. His embrace is all that matters, not the physical one that i speak of. His embrace that can reach anyone, if that anyone can go like Sudama, who went helplessly, weary and tired and the faith that his friend will help him pass through the uncertainties of the ever-changing world. Everything will change, everything that you can look around and think and feel and see around, all relations, all material, the body, the mind, the planet, the grass, the ant... everything is constantly changing, accept the stillness of that Light of God that permeates through Him. If, as Sudama sought his friend in dire need, one looks up for the Krishna, with intense need, it has to be presented to you in some way. This is how "that" Krishna works, for He still works. He is that consciousness, the unchangeable, and so will radiate the unchanged quality of His love and help. Such high state is that quality of Light, that it is hard to reach for petty Sudamas, but easier when that Light permeates through someone who can resonate at the Light of God, of high and pure level of consciousness. That pure light of God, of Krishna, still permeates to all Sudamas, totally unconditionally, through a few Masters of that resonance walking this planet. Our Baba provides the love and nourishment of Krishna for all Sudamas. Kaun Kehta Hai Bhagwan Aate Nahi, Baba Kehte Hai Tum Toh Bulathe Nahi. 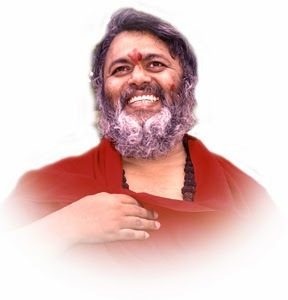 Achyutam Keshavam Krishna Damodaram, Ram Narayanam Jaanaki Vallabham. When Baba says call Him (Baba) and He will come, He means nothing else than calling Krishna, God, Allah, Wahe Guru, through Him, for He has become one with them. Guru tatva is always the mediator between God tatva and Human tatva. That is why Guru is called Light, the dispeller of darkness. Happy Friendship Day. Divine Love and Light.